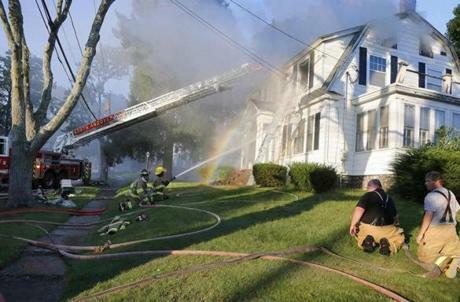 Firefighters battled a fire in a house in Lawrence. 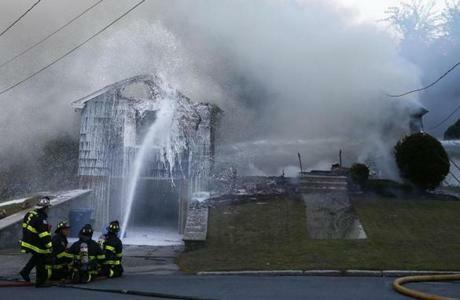 Firefighters were called to dozens of addresses in Lawrence, Andover, and North Andover for reports of suspected gas fires and explosions, State Police said Thursday. 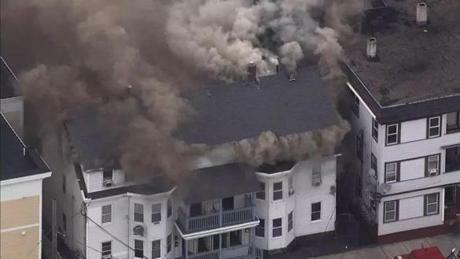 The following are images from the scene. 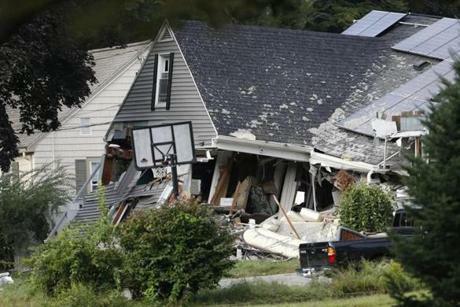 Debris remained from a house that exploded on Chickering Rd in Lawrence. 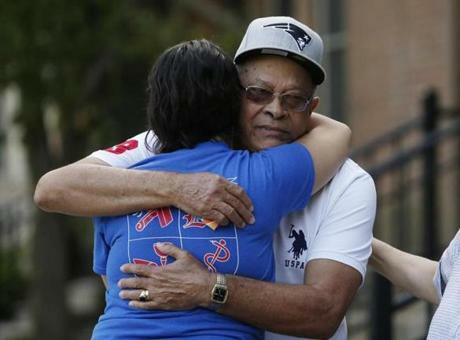 The father of Leonel Rondon is embraced outside of the family's home in Lawrence. 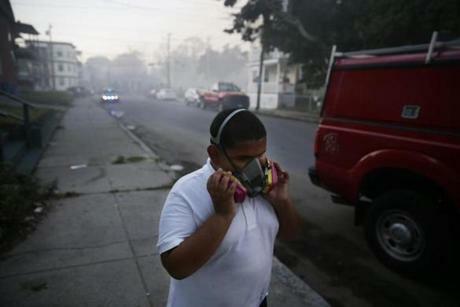 London was killed yesterday when a chimney from a house explosion landed on his car. 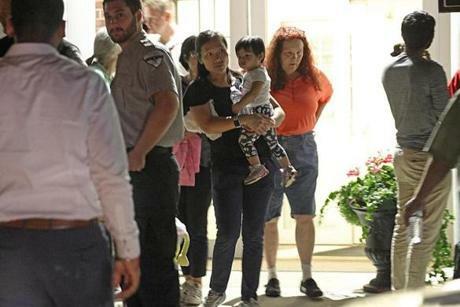 Andover residents were sheltered at the senior center in Andover. 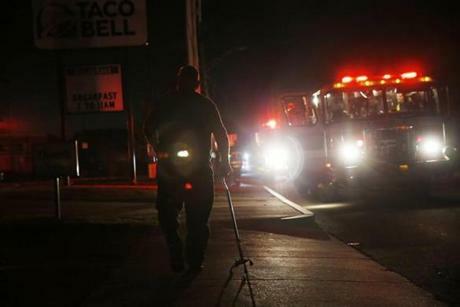 A man is illuminated only by the light of fire trucks as he walked down the street in Lawrence. 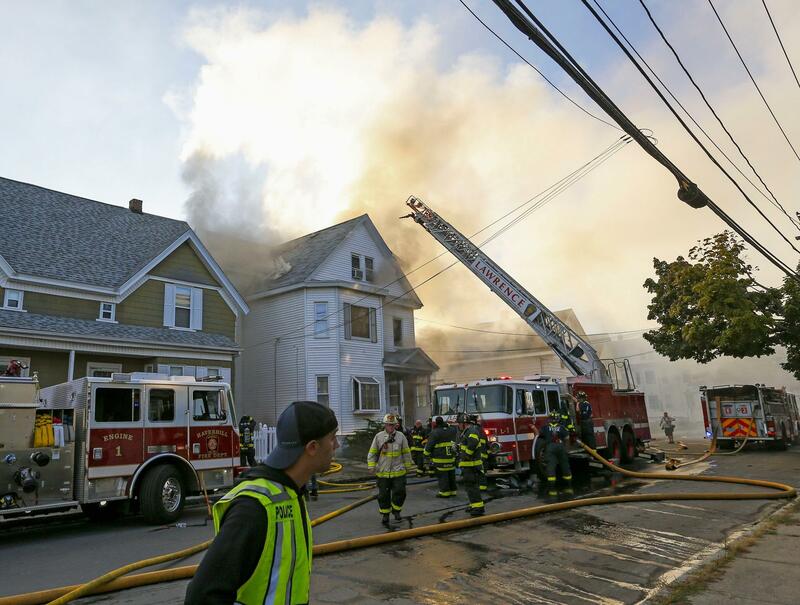 Crews worked to knock down a fire on Jefferson Street in Lawrence. 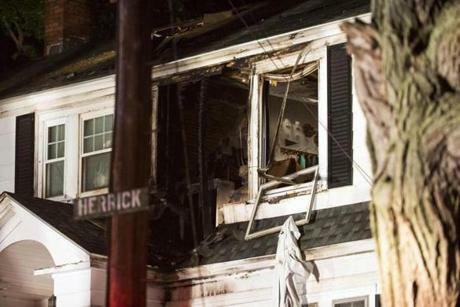 Firefighters inspected a home after a gas explosions in North Andover. 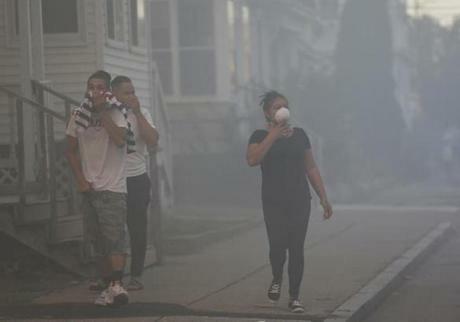 People covered their faces to protect themselves from heavy smoke from a fire on Bowdoin Street in Lawrence. 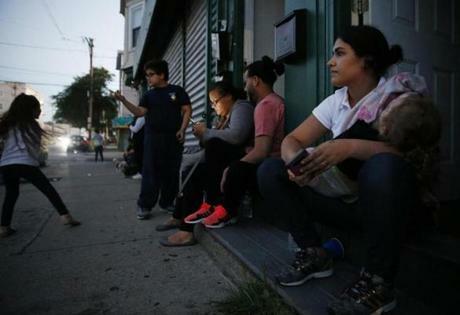 Taisha Torres (right) sat outside of her apartment with her two year old daughter, Carla Acevedo, as series of gas explosions took place in Lawrence. 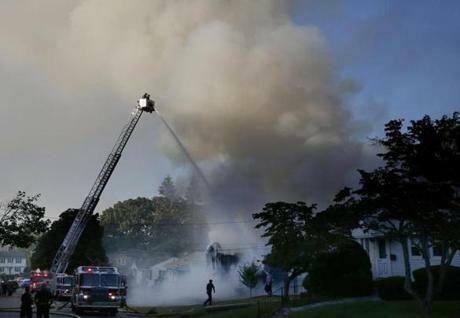 Firefighters battled a house fire on Herrick Road in North Andover. 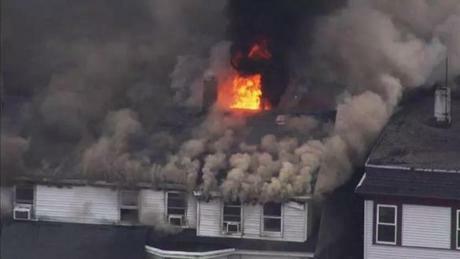 A home burning in Lawrence. 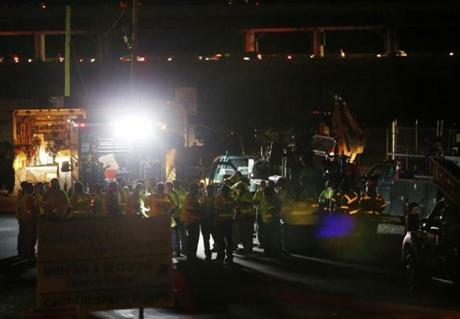 Workers staged at Columbia Gas of Massachusetts in Lawrence.